One of the by-products of being an engineer, a project manager, and having served over two decades in the military is that I tend to focus on what’s going wrong, or could go wrong, on a project instead of acknowledging project success. While this is a great mind-set for solving problems and performing risk management, in the realm of managing people it falls short. Really, who wants a manager who’s always focusing on what one is doing wrong, or might do wrong? That doesn’t sound like the type of manager I want to work for. It also doesn’t sound like the type of manager that I want to be. The skills of problem recognition and solving seem to come easy to engineers and project managers, a by-product of training and personality. What project team members want is direction, adequate resources, and a manager who’s willing to celebrate project success no matter how small. This takes a little bit of committed focus, preparation and training to develop the skills for acknowledging, and celebrating, when things go right. We all know that projects are discrete events with an established start and finish. The natural tendency is to focus only on kickoffs and completions. In my industry, the architectural/engineering/construction industry, we hold a ground-breaking ceremony to celebrate a project start and a ribbon cutting ceremony to celebrate the opening of a new building. But what if the project you’re working on has a long execution period? It’s not unusual for a construction project to take two or more years to complete. Are there not points for celebration that fall in between breaking ground and cutting ribbon? The answer is a definite yes. There are a lot of points for celebrating project success, as well as individual success. There are numerous individual, team, and project activities that present opportunities to celebrate. Your job as a successful project manager is to be prepared to capitalize on these opportunities to create both culture and camaraderie on the project team. While the Project Management Office may not have recognition and celebration on the priority list, you need to put it there. Celebrations and recognitions don’t need to be elaborate, they just need to occur. Here are five actions you can take to celebrate your project success and your project team. Breaking out the gold shovels at the start of a project and the gold scissors at the end of a project signify two key milestones. However, there are going to be other key milestones on your projects and these present opportunities for celebration. On a program I worked on, one key milestone was the award of the actual design and construction contract itself. The team worked very hard and there was a lot of high drama to even get to that point. This served as a prime point for celebrating project success, the team was able to make the contract award by the target date. On your projects, identify key milestones and choose those that are make-or-break when it comes to project success. These will be prime opportunities for you to celebrate when the team hits the milestone successfully. Project team members send the vast majority, maybe all, of their correspondence via email. While email can remain forever in the digital realm, it will never replace receipt of a hard copy letter of thanks. I used letters of appreciation throughout my career to recognize someone in word and ink for a job well done. The letter doesn’t need to be a two-page treatise, just a few words recognizing a specific act or level of performance that is contributing to project success. Not certain where to begin? Do some research on the web for letters of appreciation and begin developing your own templates. I’ve developed several over the years so they’re ready to go, when needed. One note: while the letters are a simple and easy way to recognize someone’s contribution to project success, don’t over use them. Plan to send them only for successful achievement of prominent milestones, or actions, on the project. Whereas letters of appreciation are to be used as recognition of a significant act between you and the recipient, certificates of appreciation are a great way to share individual recognition with the entire team. You might consider giving a project team member a certificate of appreciation to celebrate her passing the Project Management Professional certification exam, or achieving a significant milestone on her portion of a project. Instead of keeping the recognition between the two of you, this is an opportunity to recognize the performance in front of the entire team in a simple ceremony. People generally enjoy celebrations and they serve as a great opportunity to socialize. Events such as birthdays are another opportunity to bring the team together to celebrate success and recognize milestones, albeit a personal milestone. I’ve found that team recognition of birthdays to be a great way again to put focus on a member and allow the team the opportunity to stand-down and appreciate each other’s company. If you want to find another reason to celebrate, then choose a Friday. In several organization’s I’ve worked in over my career, one or two Friday’s a month were chosen as a time for the entire team to share stories over a beverage. We called them “First Friday” or “Final Friday” and they served as opportunities each month to celebrate wins, review our failures, and assess where the team is headed in an informal environment. Project teams are comprised of people with lives: families, hobbies, aspirations, and goals. It’s very important for a project manager to remember this amidst the need to monitor scope, schedule and cost. One way for you to recognize people is through a hail and farewell ceremony. The frequency of these events will depend on the size of your team and staffing churn. The event serves as a formal way of recognizing the arrival of new team members and departure of seasoned team members. These are great venues to also present certificates of appreciation and celebrating project success as a team. Project management equals leadership. It is well recognized that successful project managers are leaders. One of the hallmarks of a good leader is a person who puts others first and recognizes each individual’s contribution to the team. Maybe it’s my upbringing in the military, where taking care of one’s Airmen was both a responsibility and a privilege. It’s in that environment that I learned celebrating and recognizing team performance and individual success is vitally important for building camaraderie and keeping everyone focused on achieving project success. 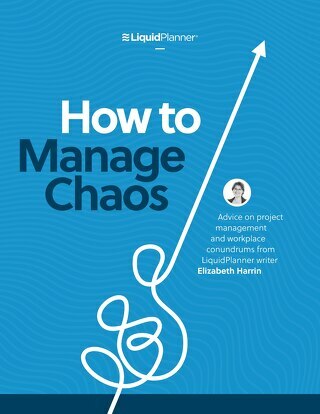 Your role as a project manager is more than just managing the project triangle. It’s leading people. When you support and champion others selflessly, celebrate wins, and recognize success routinely, you’ll likely find that your work to deliver a project to scope, within budget and on time become just a bit easier. Looking for more articles like this? 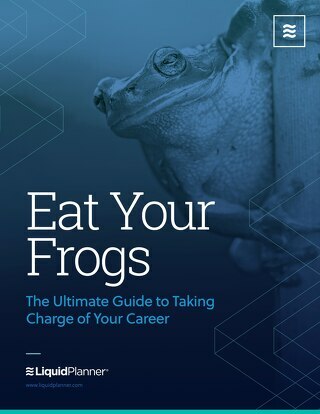 Get 30 pages about leadership, teamwork, project management, and navigating career condundrums here. The post Celebrating Project Success: 5 Things You Can Do appeared first on LiquidPlanner.